At Johnson & Sons Construction LLC we are dedicated to providing Quality Work, Competitive Prices and Guaranteed Satisfaction. We are committed to employing experienced professionals who strive to deliver perfection in every aspect of their responsibilities. Our projects follow rigid schedules with attention to the smallest details. Our goal is to establish lasting relationships with our customers by exceeding their expectations. Call today and discover why we are the area's best! Adam & Sons is a new business servicing the greater Denver metro and southern metro areas. Fait Homes was established in 2005 by a family of Denver natives who have a passion for historic architecture, quality building, and eye catching design. This diverse team has renovated and restored several historic homes in some of Denver’s top neighborhoods including Washington Park, Congress Park, Krisana Park, Park Hill, and Harvey Park to name a few. Their building philosophy is deeply rooted in a desire to meld form with function, which creates not only a stunning end result but a quality one as well. Fait is a French word that simply means “made”. At Fait Homes, we are confident that we have made a difference, made an impact, and made an impression in residential construction! 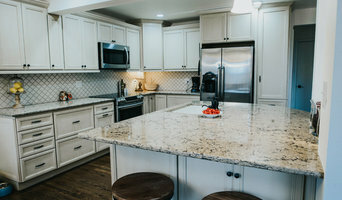 Specializing in residential home remodeling and repair for over 5 years, Dayhoff Repair and Maintenance has literally built our reputation from the ground up. By providing the highest standard of workmanship and service on all jobs, and settling for nothing less than the best, we strive to live up to our motto by having the right solution for your home project. Our commitment is to complete every project, on time, within budget, and to your complete satisfaction, and we take that pledge very seriously. So when you want your home repair project completed in a timely and professional matter, choose Dayhoff Repair and Maintenance. We have the right solution for your home project, so call us today, and find out why our customers come back to us time after time for all their home repair needs. We at Sierra West Construction are dedicated to designing custom homes and remodels that reflect the personality and lifestyle of the homeowners. Distinguished by a variety of architectural styles and locales, our custom homes and remodels blend magnificently with the natural surroundings. Our highly skilled craftsman specialize in the application of the finest building materials available, including stone, stucco, timbers, and decorative iron ... the possibilities are endless. Whether Contemporary or Traditional, French County Farmhouse or Mountain Elegance, Sierra West Construction is unparalleled for its diversity of homes and designs. Envision the rustic charm of a Colorado Territorial style home nestled into a beautiful mountain setting or the elegance of a contemporary design overlooking the dazzling city lights. Whatever style you envision, Sierra West Construction can help turn your visions into reality. No Matter what the architectural style, Sierra West Construction designs homes with a variety of distinctive features that set them apart from other new homes and remodels. The intricate detailing of our custom woodwork and hand crafted finishes make it easy to appreciate the high quality of design and execution that is inherent in our homes. We pay particular attention to the special needs of our clients such as gourmet kitchens, home offices and indoor/outdoor entertaining areas. 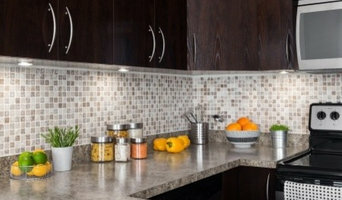 Often highlighted by custom cabinetry and slab granite countertops, our spacious gourmet kitchens would excite even the most particular master chefs. We also focus on today's need to conserve energy with high efficiency heating systems, upgraded insulation packages and energy performance windows. From start to finish, Sierra West Construction pays meticulous attention to every detail that goes into the design and construction of our prestigious custom homes and remodels. A Veteran Owned Company with a commitmment to excellence. Your Project is our Mission! Our past projects include both new construction and repairs/restorations. Occupied and fully operational job sites are never a problem. And we can also plan, manage, and build multi-phase jobs. We offer an end-to-end client experience that includes seamless communication, budgeting, staffing, on-site organization, and solid, quality handiwork every time. We have worked with homeowners and designers to produce work we think you'll love. We have worked with homeowners and designers to produce work we think you'll love. Call us today and bring our project management skills and extensive construction experience to your next project. Call us today and bring our project management skills and extensive construction experience to your next project. We served our Country now let us serve you! An emerging Small Business that has been in operation since 2014. We are a full-service construction company, offering general contracting and construction management. Chuck Holmquist, as the principle owner and operator of the business, has 30+ years’ experience in the construction industry. Since its inception, C L H & Assoc. has used this experience and knowledge to deliver the highest quality projects at the best value possible for all clients. Believing that effective communication from project owner down the chain to the field foreman aids in the delivery of a high-quality end product. Additionally, this communication results in reduced change orders and cost, allowing for maintaining control over time and budget. Our background began in residential, new construction, remodeling and historical renovation. We then graduated to custom homes and larger commercial projects. Commercially we have experience in new construction with medical offices and clean rooms to hospitals and pharmaceutical research facilities, schools, colleges and manufacturing facilities. Beginning with ground up construction, remodel and additions, we have maintenance experience in single and multifamily project as well as commercial and manufacturing facilities. Additionally, we have structural repair, restoration and disaster restoration experience. This wide background of experience allows us to bring to the client the vital information that is so important to their decision-making process, coupled with our solid advice on working through a given project. Honesty and integrity are our highest concerns, not only for the day the project is completed, but well into the future. Our greatest pride is in knowing that the client has satisfaction, as that is what motivates us to continue providing the best services possible. Excellence is our primary goal in all we achieve. We stand behind our word and our work as our experience has taught us the importance and value of both. 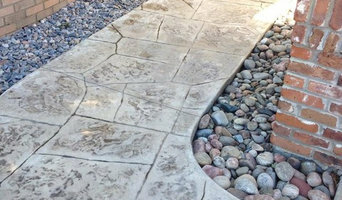 We will work with you on your design and help you bring it to a reality for your given space. We have experience with obtaining permits and will walk you through any and all necessary construction documents. We pride ourselves on maintaining a clean jobsite, both inside and out. Throughout the construction process, you will work closely with C L H & Assoc., to ensure that all facets of your project are on track so that you never feel left out of the process and can watch your dreams come to life. 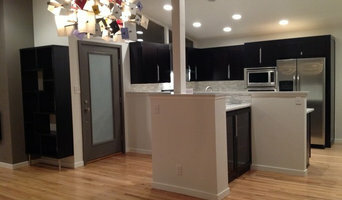 Home renovation and remodeling. Specializing in kitchen, bathrooms and basements. In-house design capability. 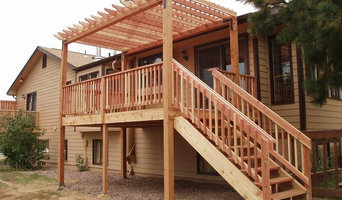 Quality construction throughout the metropolitan Denver area. Picasso Homes is proud of its stunning homes and the process that it takes to create them. Bringing the fundamental elements together: the architect, builder, general contractor, design team, and site manager all work in a collaborative effort. As an integrated team, all parties functioning in tandem, Picasso Homes eliminates costly mistakes and change orders, keeping the project on schedule and budget in line, while providing a seamless methodology to custom home building. "Our approach is what makes us unique," says owner, Doug Osinski. As a Real Estate agent, Doug witnessed too many clients face overwhelming challenges with the building process. Picasso Homes was designed to eradicate those aggravations and uncertainty of building your dream home. With a combined 75 years in the industry, come see how our skilled and dedicated team integrates fresh ideas, uses innovative materials, and transforms your vision of home into an achievable, vibrant reality. Design Build firm specializing in residential design, new construction, & renovations.